Architecture is not created through happenstance. It is planned. It contains a sense of order. The grid is a proven tool used by architects to achieve order. This post examines the connection between architecture and the grid. As an ordering devise, the grid is not a unique to architecture. 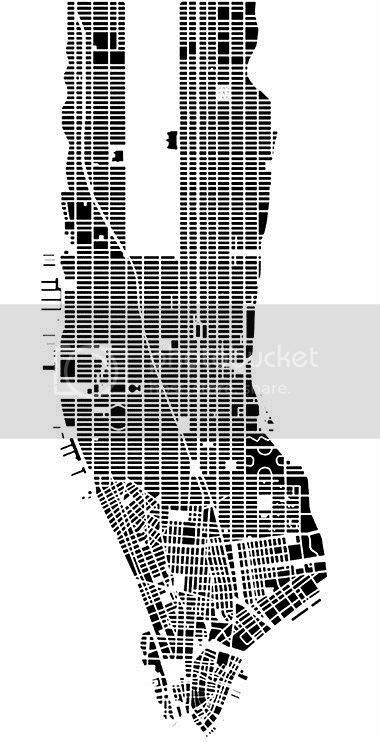 One need simply look out the window to the orthogonal pattern of the street grid in our cities or to observe green blocks of crops in the fields of the countryside. The grid as an ordering devise is pervasive. It is recurrent in mathematics, science, technology, art, and architecture. 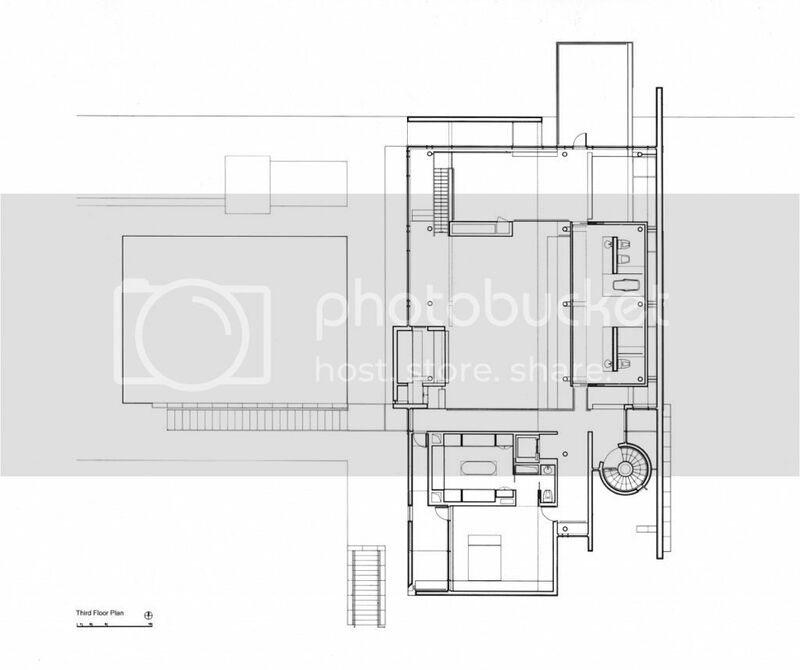 Architecture is initially conceived in the brain, as a collection of concepts, thoughts and ideas. At this stage the architecture is chaotic. Despite Hollywood portrayals to the contrary, this chaos cannot simply be regurgitated into a fully formed work of architecture. There is a process. Those concepts, thoughts, and ideas have to make it to paper and the architect must employ his or her creative arsenal at the project. He must convert that chaos to order. Enter...the grid. I am not certain of the earliest use of the grid in architecture but the analytical Greeks were certainly advocates. 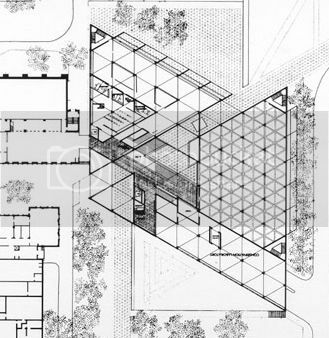 A good architectural definition of the grid comes from architect and educator Francis D.K. Ching - "A rectangular system of lines and coordinates serving as a reference for locating and regulating the elements of a plan." 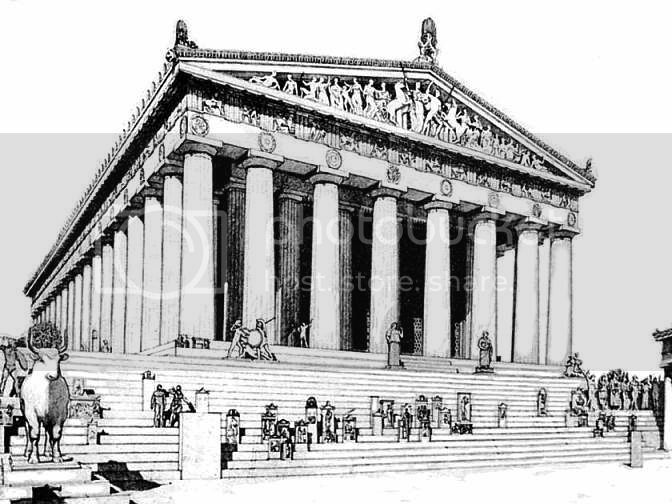 The success of the Parthenon can be contributed to more than its form. It is also derived from its order. The underpinnings of the Parthenon, like many buildings that followed, is the grid. I would embrace Ching's definition even more if he were to omit from it the word "rectangular". It is certainly true that the grid is normally rectangular, but that does not have to be the case. Take for example I.M. Pei's East Wing Addition to the National Gallery. Here a triangular grid is used to great effect. As the visitor enters the east wing and overlooks the balcony, it becomes obvious that Pei has extruded the grid from the floor plane and superimposed it in three dimensional space. This is a skill possessed by our great practitioners. Wright was known for his use of grids, which included virtually any geometric pattern that could be construed with a 45 or 30-60-90 triangle. 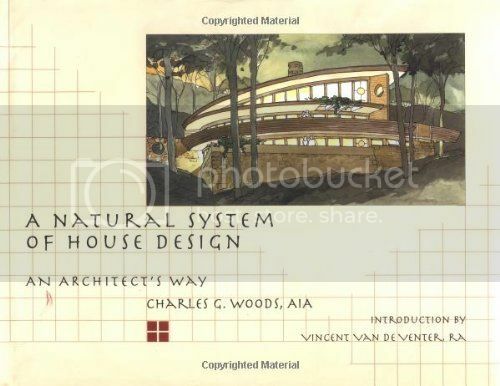 At some early point in my career I ran across a book by Charles Woods, A Natural System of House Design, which makes an eloquent case for architects not to use the grid simply as a rough guide, but to really stick to it. Woods uses his own excellent residential projects to demonstrate the versatility and flexability of the grid. He speaks of the module, a sort of three dimensional grid, stating, "The module is the identity, form, essence, and being of the design in contrast to the becoming of matter of the built structure." 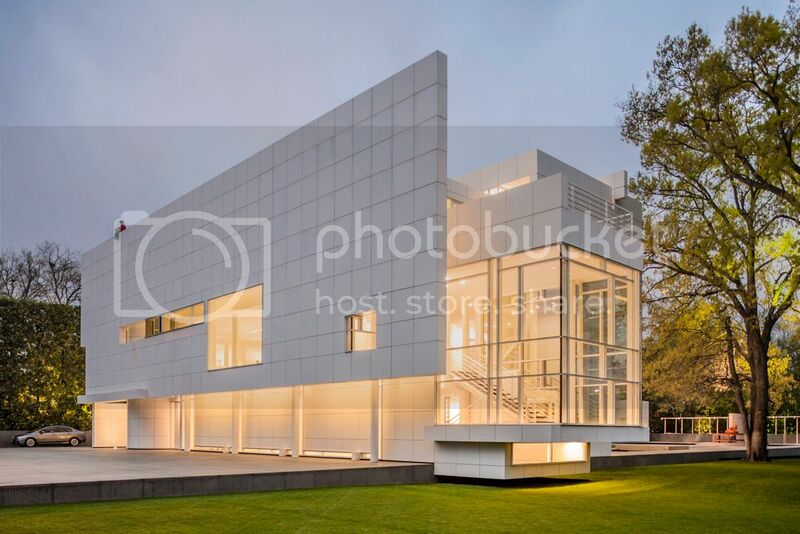 Since this blog is all about connections, I thought it might be interesting to close by passing along a connection between the use of the grid by two great designers - the late great graphic designer Massimo Vignetti and the talented architect Richard Meier. 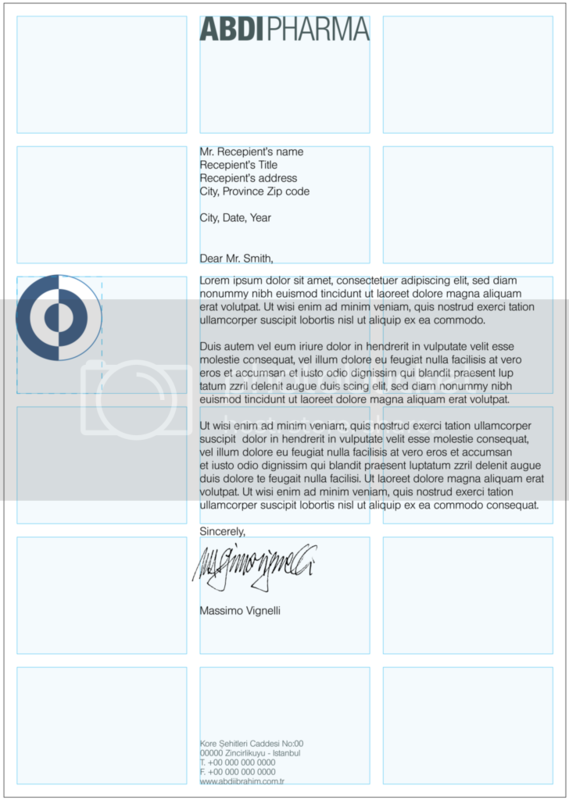 The Vignetti canon advocates the use of grids in the layout of everything from letterheads and business cards to books. Vignetti has been quoted, tongue in cheek, as saying that the grid is the "underwear" of the book. Vignetti's clean, minimalist design approach to book and magazine layouts did not go unnoticed by Meier, who retained Vignetti to document his works of architecture for his monographs. Flipping through the books is fascinating. As in Meier's architecture, the grid is not immediately conspicuous, but is definitely there. Once one detects and examines the grid, it presence and power becomes obvious. The text boxes and image boxed makes sense. Even the white spaces make sense. As in Meier's buildings, the grid serves as the underpinning of a project that really works! Next month we will step back to look at the big picture of architecture, investigating how architecture fits with humanity's basic needs. Join me for All architecture is shelter.